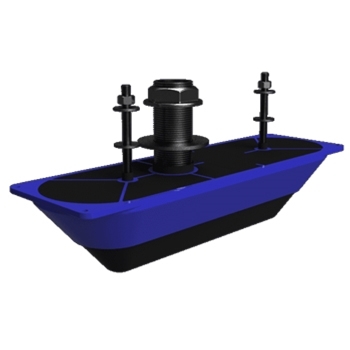 Pair the StructureScan 3D Stainless Steel Thru-Hull Transducer with Navico's StructureScan 3D Module for the best 3D underwater images below and to the left and right of your vessel. Providing precise target detail and bottom descrimintation to depths of 300', the 3D Thru-Hull also offers a wider range of 600' left to right! Designed for boats with a Deadrise of less than 5°.